Aspen Institute Romania in cooperation with the Centre for European Policy the Studies (CEPS) – Brussels and the Energy Policy Group organise the roundtable “Regional Energy Policy Cooperation in South-East Europe”. The event takes place on 8 December 2015 and focuses on the CEPS proposal regarding regional cooperation in South-Eastern Europe, infrastructure planning and energy security measures in the region, challenges to the Energy Union and national policies, transformation of the energy sector across the EU, including as regards the natural gas demand and investments needed in the field. The starting point of the debate will be the ongoing drafting of a South East Europe energy roadmap by CEPS. The meeting will play an inclusive role in continuing a relevant and informed dialogue in the field and in facilitating Romanian contributions to the European debate on the future of the energy sector in South-Eastern Europe. Another important objective of the roundtable is to help identify key activities that CEPS can undertake in the future and to ensure a better participation of experts from South-East Europe in this exercise. Particular attention will paid to the development of the Energy Union and national policies regarding this initiative. Other topics which will be discussed include opportunities and challenges for energy cooperation in South East Europe, as regards the transforming natural gas demand, the changing EU energy sector dynamics. Experts from Romania, Greece, Serbia, Bulgaria, Turkey and Croatia will present national perspectives. 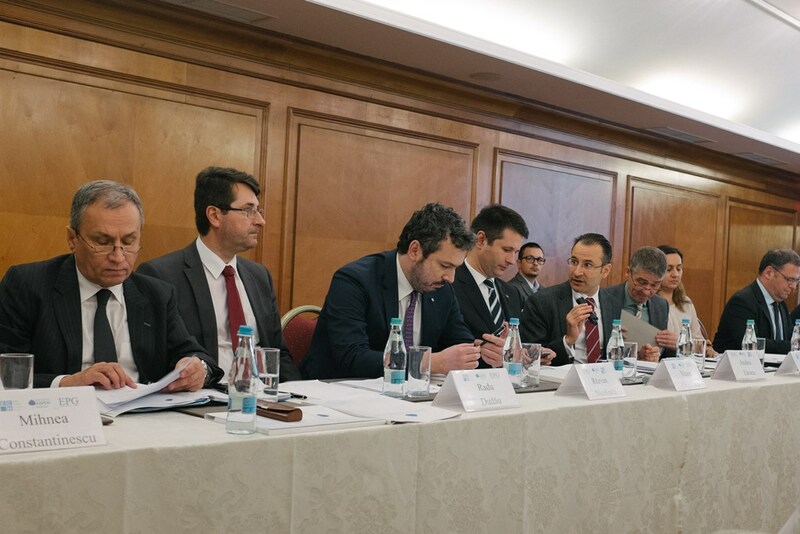 Participants at this public policy dialogue include Romanian and foreign experts and policy-makers, representatives of the main think tanks working in the field, as well as of the business and NGO sectors. The workshop is part of the Institute’s Aspen Energy, Security and Economy initiative aiming to contribute to the development of a regional Energy Platform. The AIR Energy, Security & Economy Platform aims to provide an influential debate and reflection platform for regional business sector and decision-makers in the energy sector in the Black Sea – Caspian region and to create a trans-regional platform. The platform links the Caspian, Adriatic and Black Seas strategy and policy review (aiming to anchor the Western gate of the New Silk Road). This effort is designed to dovetail with the EU energy strategy as well as regional and global developments regarding energy markets, security and financing issues in the field. The Program offers a consistent and diversified platform of national expertise in the field, reuniting Aspen members, fellows, and professionals from a variety of backgrounds. Participants come from private, public and academia sectors. Through their input, contributors have the opportunity to shape up Romania’s policies and strategies. 17:30 – 18:30 Session II. Energy Union and national policies: What priorities for the way forward?